Casa Blanca Estates a historic 24 hour guard-gated community with a Camelback Mountain backdrop in the heart of Paradise Valley. 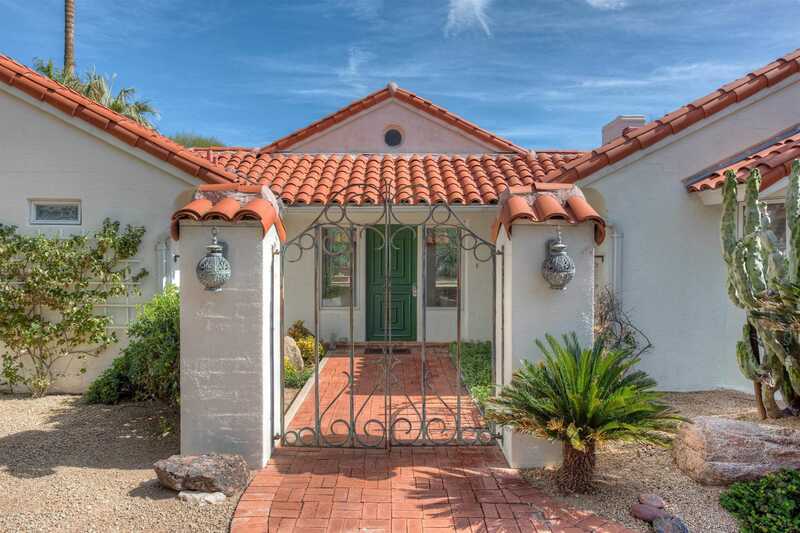 This home offers a rare opportunity to create a charming, quiet , right sized sanctuary with a beautiful view of Camelback Mountain . Currently 3 bedrooms and 3.5 baths looking to be updated or one could create something new. mature landscaped grounds. Perfect for your down sizing buyer or young family interested in privacy. Minutes from Fashion Square, restaurants, art galleries….. Easy to Show! Directions: Left on Casa Blanca Dr. from Jackrabbit and left into first guard gate. Guard will direct you to the property (Lot 18). Approximate size: 35525.00 sq. ft.